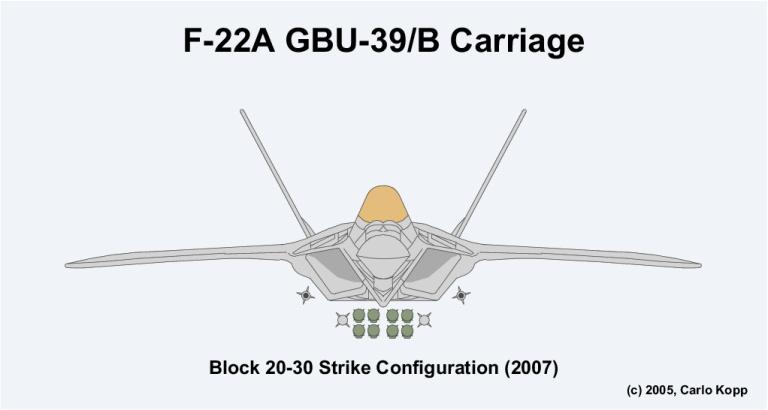 The SDB I was conceived during the 1990s to provide an internally carried weapon which would allow the F-22A Raptor, and later JSF, to attack multiple targets. The design is sized so that the F-22 can carry eight rounds in its main weapon bays. The SDB I was operationally deployed in 2005, and first dropped in combat during a close air support sortie in Iraq, on October 5th, 2006. 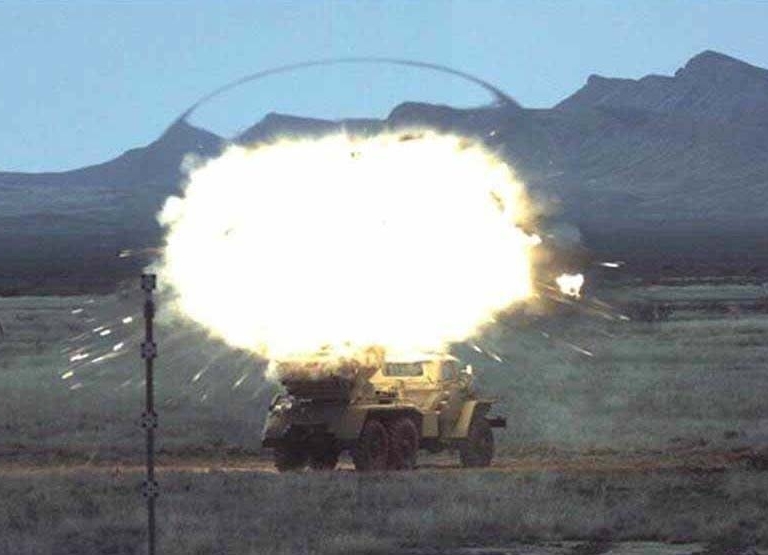 Development of the SDB followed the Miniature Munitions Demonstration Technology (MMTD) program during the 1990s. 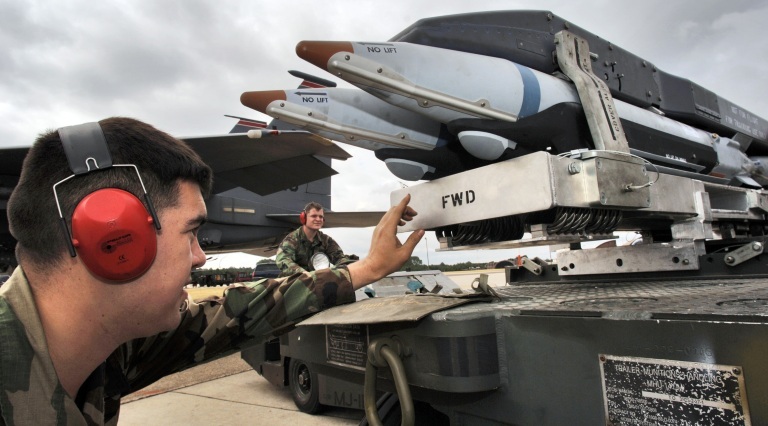 The US Air Force intends to procure 24,000 or more rounds for carriage on new and legacy combat aircraft; of these half will be baseline weapons equipped for attacking fixed targets, and the remainder a variant equipped to attack moving targets. Above Boeing GBU-39/B Small Diameter Bomb I; below weapon in flight (USAF Photo). 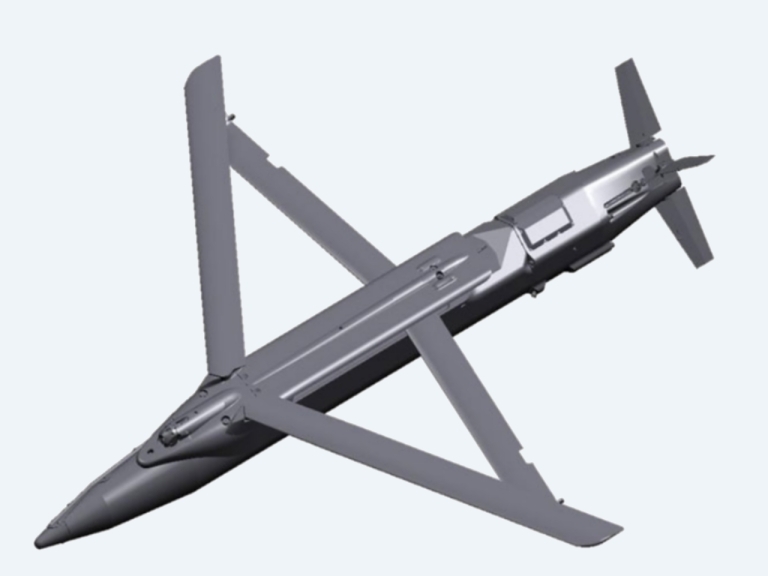 Design aims for the SDB I included a capability to penetrate hardened targets and provide better accuracy than the JDAM. 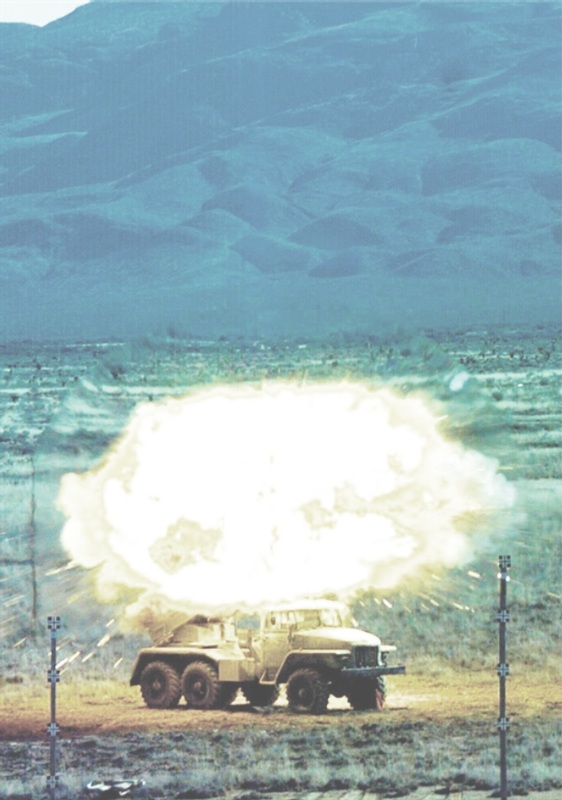 The MMTD effort included a focus on key technologies including the Hard Target Smart Fuze, High Energy Explosives, Penetrator Design, Optimal Guidance, Robust Autopilot, Differential GPS/INS, and an Advanced Seeker. 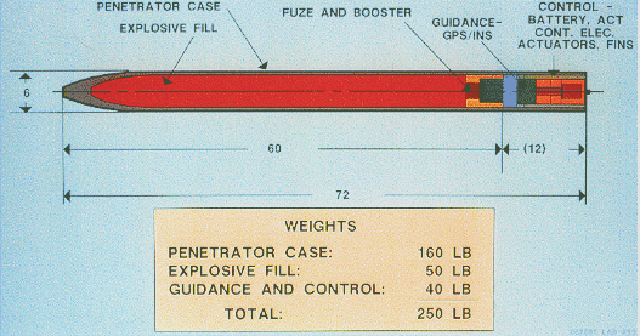 The Optimal Guidance is a unique feature, it is designed to align the bomb body exactly with the weapon's velocity vector at the point of impact, as this maximises penetration of the target - all of the bomb's kinetic energy is used to drive the weapon in - older guidance systems did not achieve this and velocity components tangential to the impact would at best waste energy, at worst contribute to premature casing rupture. 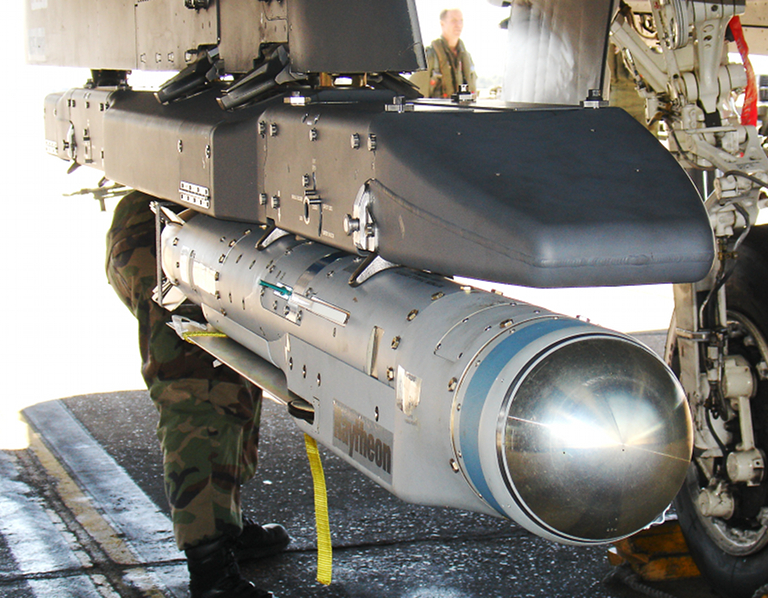 The production SDB I is equipped with Rockwell Collins GPS receiver, with a Harris anti-jam module, and a Honeywell inertial unit, a KDI Precision Products reprogrammable electronic fuse (airburst, contact and delay modes), HR Textron tailfin actuators, MBDA diamondback foldout wings, with a TAM Garland 50 lb forged casing warhead. A Mil-Std-1760 interface is used. 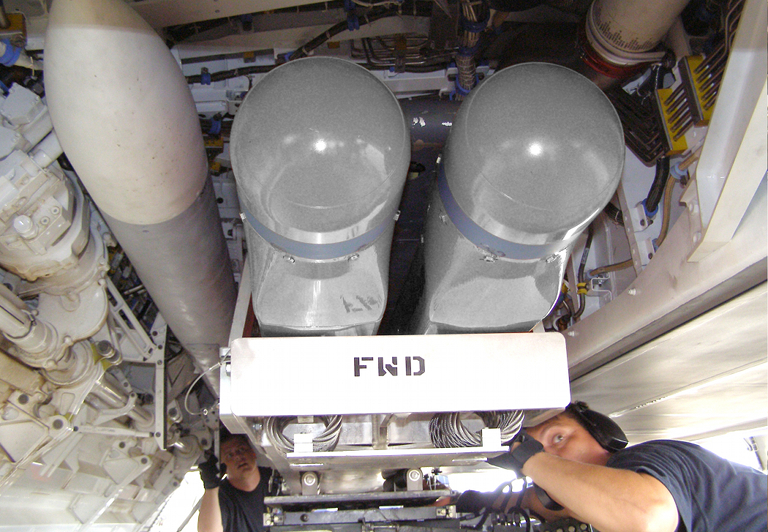 The launcher is a Sargent Fletcher pneumatic ejector system in the Boeing BRU-61/A bomb rack. 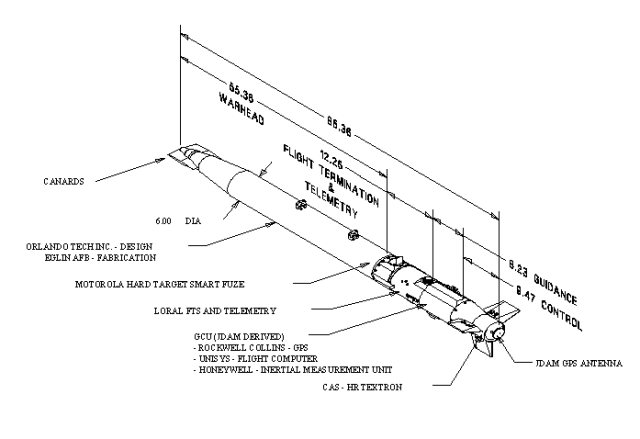 SRI are providing differential GPS ground stations, required to enhance SDB accuracy over JDAM and other conventional munitions. The glide wings provide a quoted delivery range of around 60 nautical miles for a high altitude release. The weapon performs a 180 degree roll post launch as the stowed configuration has the folded wings beneath the weapon. The cited blast radius is 26 ft (cf 82 ft with 2,000-lb JDAM). 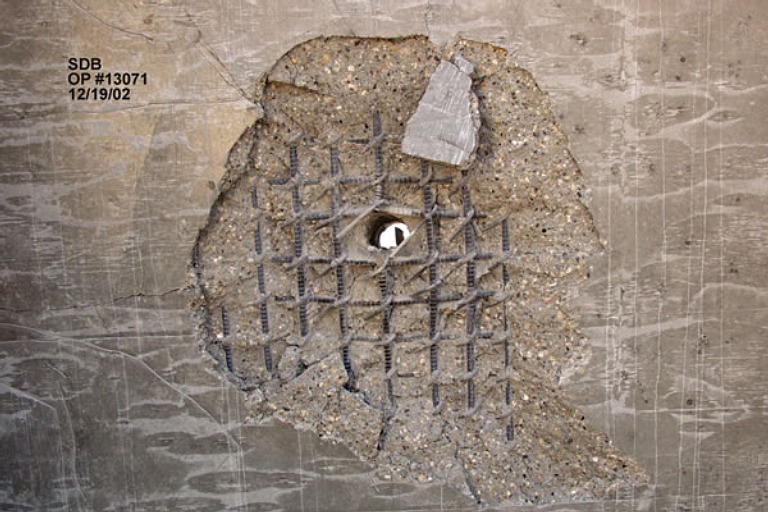 Boeing claim the ability to penetrate more than 5 ft of steel reinforced concrete making the SDB I competitive against the BLU-109/B for many targets. The SDB I will be most effective in the urban and broader close air support, battlefield interdiction, Destruction of Enemy Air Defences (DEAD) lethal suppression and counter-air strike airfield attack roles. Against soft skinned vehicles and structures, armour, point emplacements, runways, aircraft shelters and SAM/SPAAG systems this weapon will be highly lethal. Where the SDB I will be less than effective is against deep / hardened bunkers, large infrastructure targets, large buildings, industrial plant, bridges, large trench systems, vehicle parks, infantry on the move and other area or large point targets. These remain the domain of larger specialised bunker busting weapons, or large explosive bombs such as the Mk.83/BLU-110 (1,000 lb), Mk.84/BLU-117/BLU-119 (2,000 lb), BLU-109/116/118 (2,000 lb), BLU-113/122 (5,000 lb). 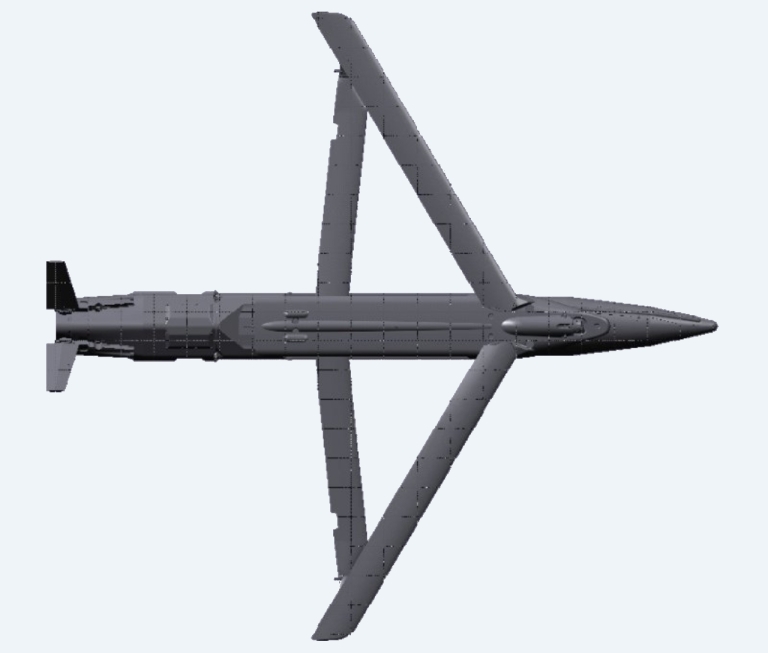 The Raytheon GBU-53/B Small Diameter Bomb II is now in development, it will be equipped with a multimode terminal seeker and two way datalink, and is intended to enter full rate production in 2017. Intended production numbers in 2010 were 17,000 rounds, of which 12,000 are intended for the USAF, and 5,000 for the US Navy/Marines. The design objectives for the GBU-53/B are quite different from those for the GBU-39/B. The GBU-39/B is a weapon optimised for fixed targets, especially hardened infrastructure and basing, whereas the GBU-53/B is intended for attacks on moving battlefield targets, especially vehicles and heavy armour. In the simplest of terms the GBU-53/B is a glidebomb equivalent to the AGM-65 Maverick missile, but with a more flexible and countermeasures resistant seeker. 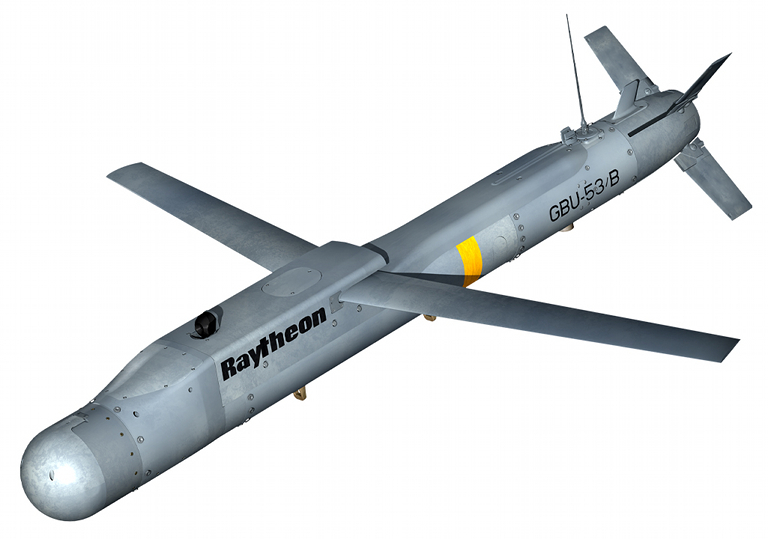 The GBU-53/B guidance system combines seeker with a GPS/inertial autopilot, and a Rockwell Collins TacNet bidirectional dual band datalink, which provides JTIDS connectivity with aircraft and a UHF link with a ground designator. 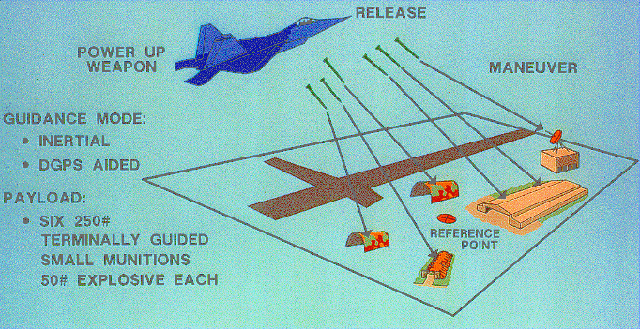 This is a refinement of the JTIDS based arrangement trialled for moving target engagements using the JDAM tailkit. The tri-mode seeker employs semi-active laser homing, MMWI radar, and uncooled thermal imaging components to maximise flexibility in employment and counter-measures resistance. The semi-active laser mode permits the use of the SDB II with legacy airborne and ground based designators, against fixed and moving targets. The MMWI and thermal imaging modes permit autonomous fire-and-forget engagements, under a wide range of weather conditions, accepting that some fog and haze conditions will impair both thermal imaging and MMWI acquisition. The seeker optical dome is protected by a clamshell shroud which is jettisoned before the seeker is activated. 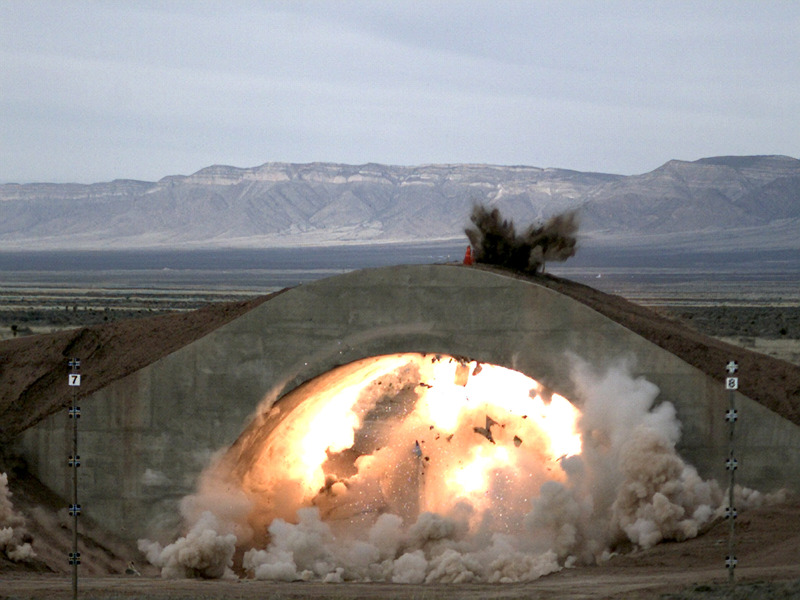 The warhead design is optimised for battlefield targets, parked aircraft, and unhardened structures, combining a shaped charge with blast/fragmentation effects. 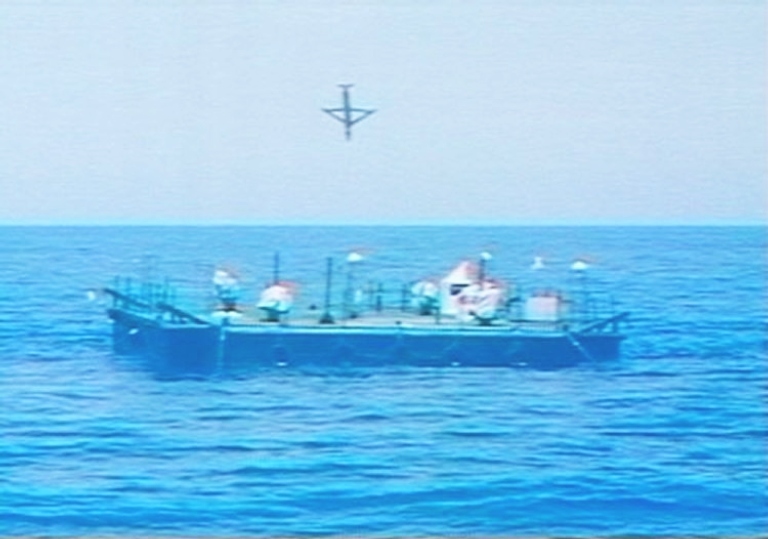 It will also be highly effective against unhardened and hardened air defence targets, such as SAM batteries, and maritime targets such as warships. A redesign of the warhead was performed during the development cycle to provide the capability to disable or kill main battle tanks. Initial deployment is planned for the F-15E and later F-35. 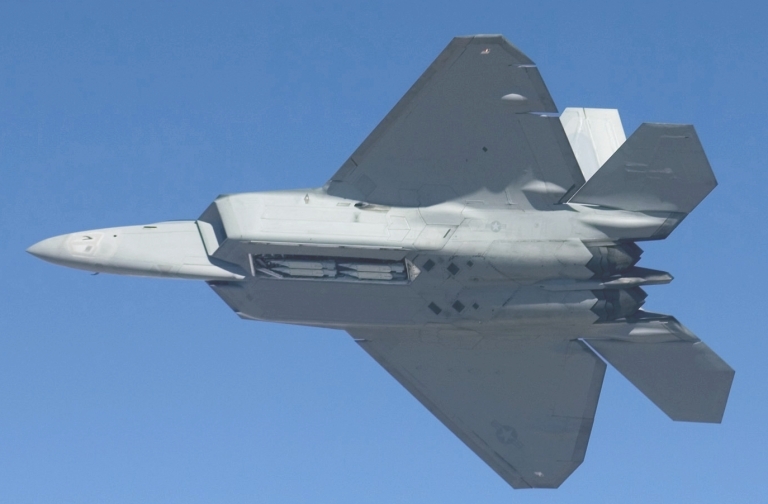 Initial weapon sizing was done to fit the F-22A Raptor, which could carry up to 8 rounds. 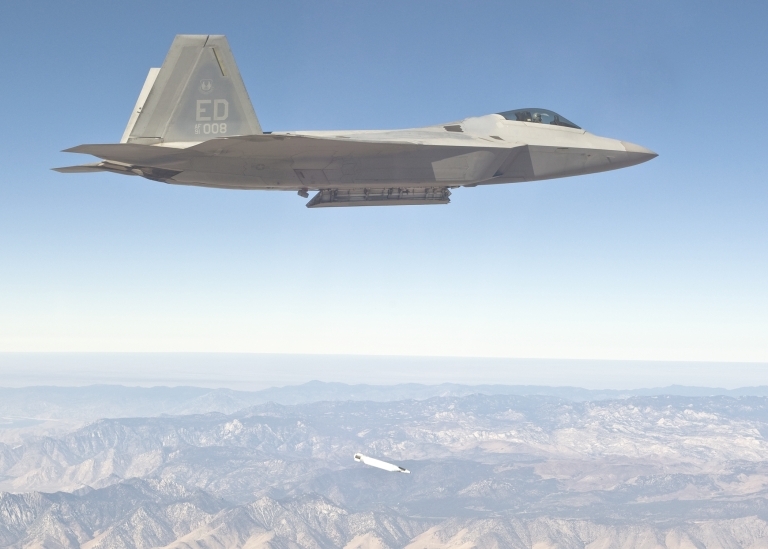 An F-22A Raptor performing a test flight early February, 2007, with four GBU-39/B Small Diameter Bombs on board. The F-22A will carry up to eight SDBs, while retaining two AIM-120 AMRAAMs (US Air Force). 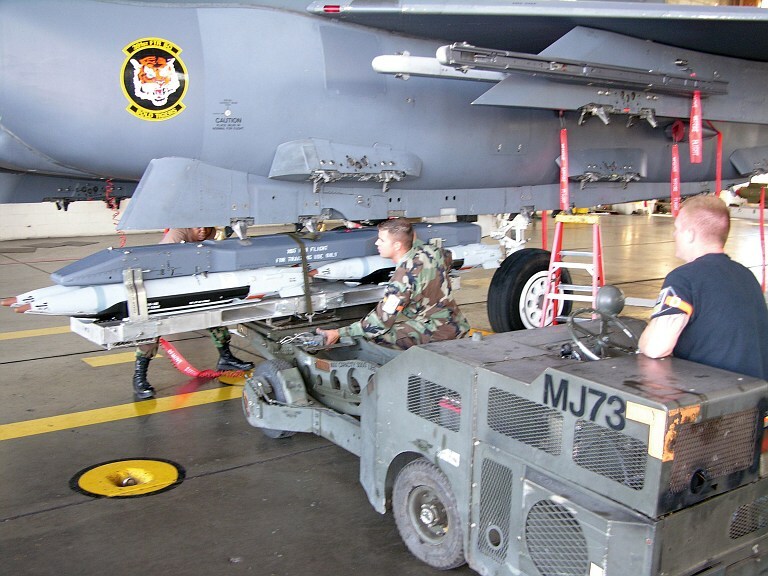 F-22A fit check of the GBU-39/B Small Diameter Bomb (USAF Photo). GBU-53/B SDB II fit check on F-22A Raptor of the 1st FW at Langley (Raytheon). 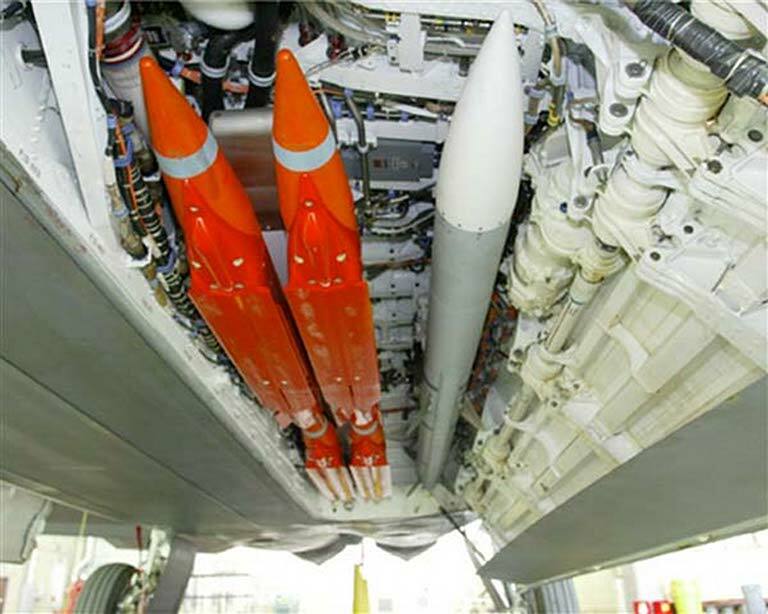 Above, below: GBU-53/B SDB II test round on F-15E Strike Eagle (Raytheon). 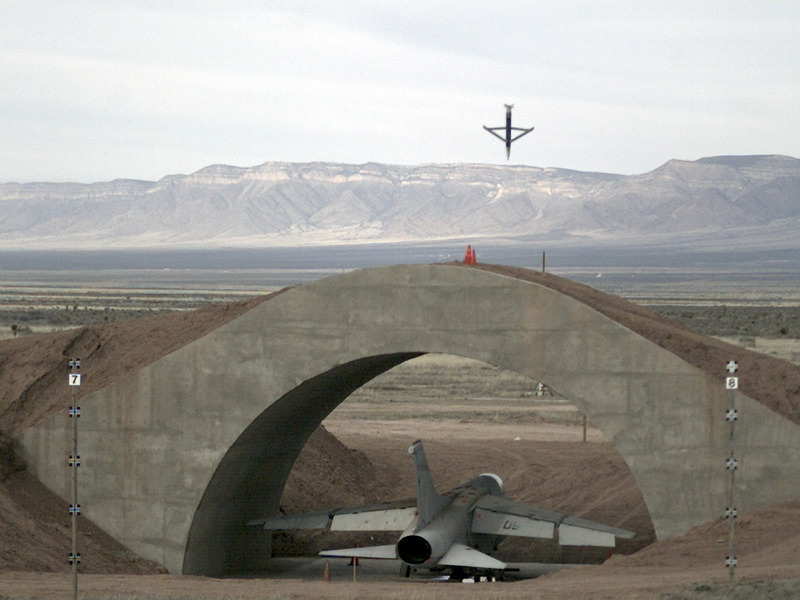 Supersonic release demonstrations were performed on the RAAF F-111 at ARDU (US Air Force). 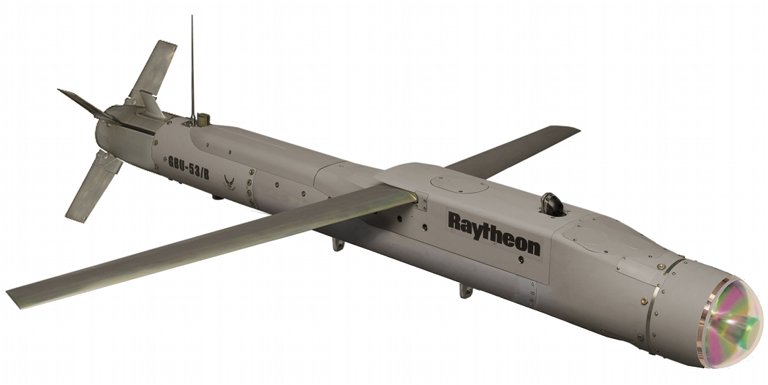 Katzmann J., Moving Target: Raytheon’s GBU-53 Small Diameter Bomb II, Defense Industry Daily, URI: http://www.defenseindustrydaily.com/Raytheon-Wins-USAs-GBU-53-Small-Diameter-Bomb-Competition-06510/. Imagery Sources: US Air Force, Boeing, Raytheon.